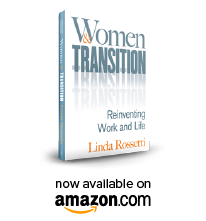 Novofemina.com is a blog about professional and personal transition issues in women’s lives. Novofemina means women’s renewal. It is constructed from two latin words; novo and femina. Novo’s latin definition is “to make new; to renew; to change; to re-invent.” Femina is the latin word for woman. Novofemina is an attempt to celebrate & dignify the transition process for women – a process which has added complexity given the broad and diverse roles that we play in society. We are contributors in our chosen profession. But, we are also parents and spouses and daughters and ex-daughters-in-law and stepmothers and community leaders and volunteers and deacons and on and on. I am in the process of transition. Shockingly it seems that the majority of women I encounter – regardless of age – are also in transition. The widespread nature of this topic – let alone its complexity – fascinates me. I am determined to figure out a process to support women in transition — this blog is about creating that process and my observations along the way. Copyright © 2011 -2018 NovoFemina.com – All rights reserved. No content on this site may be reused in any fashion without written permission from NovoFemina.com.